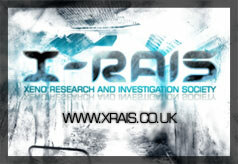 Just wanted to post a link to our new site www.xrais.co.uk and hopefully get some feedback. We have actual evidence for review in our case files section. We would love for you to review the evidence and then let us know your thoughts. We are primarily a scientific driven group but are very open to all of your opinions and view. Thanks for your time, happy hunting.